Last Friday, we were in the mood for a little spice. Torrential downpours couldn’t keep us from hopping on the 6 train and heading to Saravana Bhavan (81 Lexington, corner of 26th St.), one of our favorite spots for low-key Indian food. We arrived hungry and weren’t disappointed! To start, we had Idly and Chilli Bajji. Both were tasty, especially with the chutneys on the side. 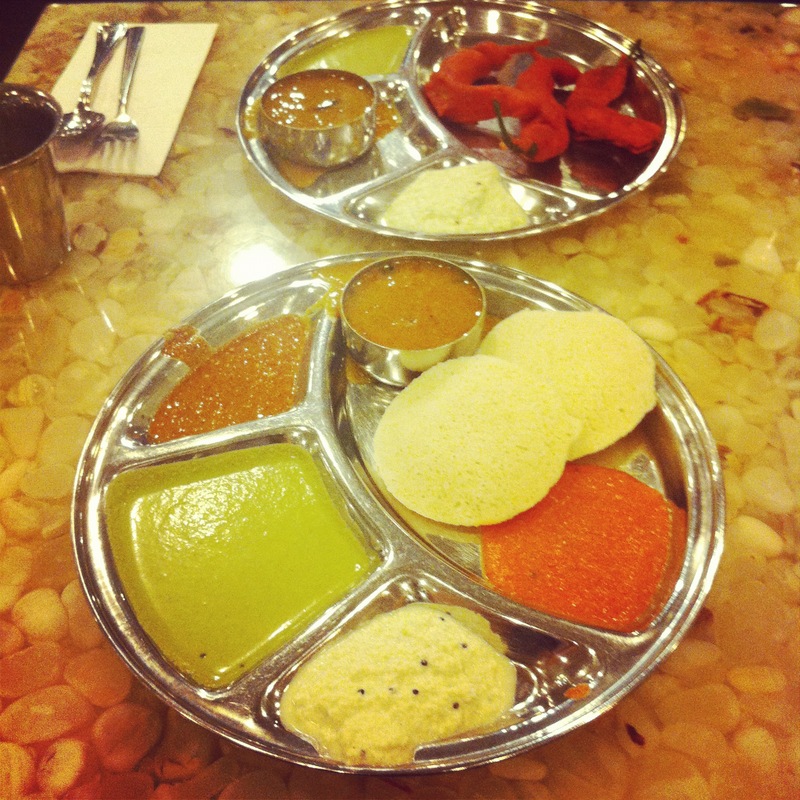 We especially like how the mild flavor of the Idly allowed the rich seasonings of the chutney and sambar to shine through. 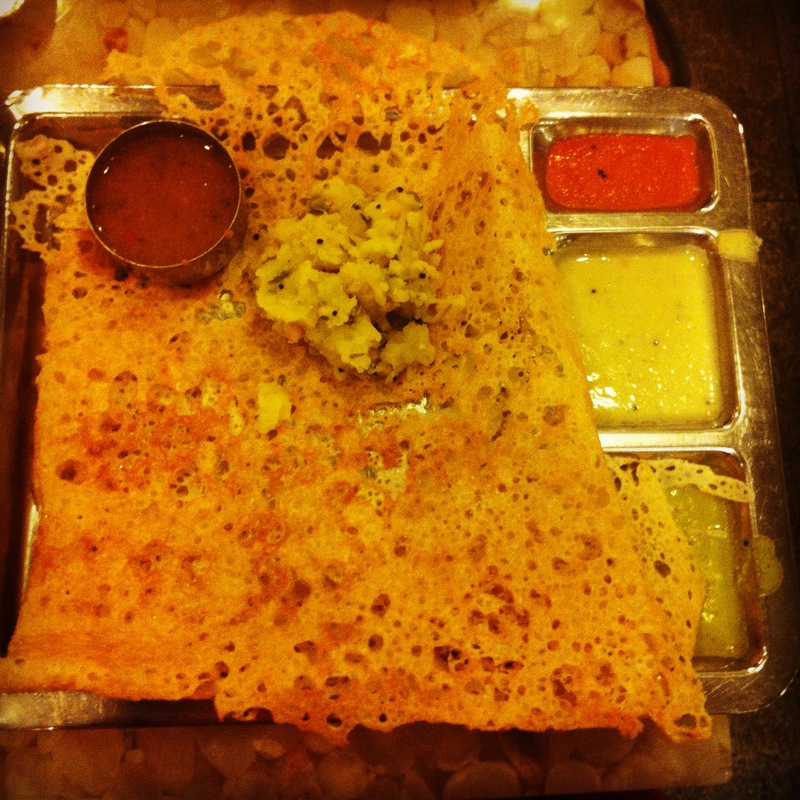 For our main dishes, we shared a Rava Masala Dosa and a Tomato Peas Uthappam. The Rava Masala Dosa was great- it had a fun texture and the potato filling was flavorful without overshadowing the chutney and sambar. At Indian spots like this, it’s all about the sauces for us . Both of these dishes were tasty on their own but made even better with the side components. Overall, we both really enjoyed our meal at Saravana Bhvan and will definitely return next time we’re in the mood for dosas and other tasty vegetarian treats. 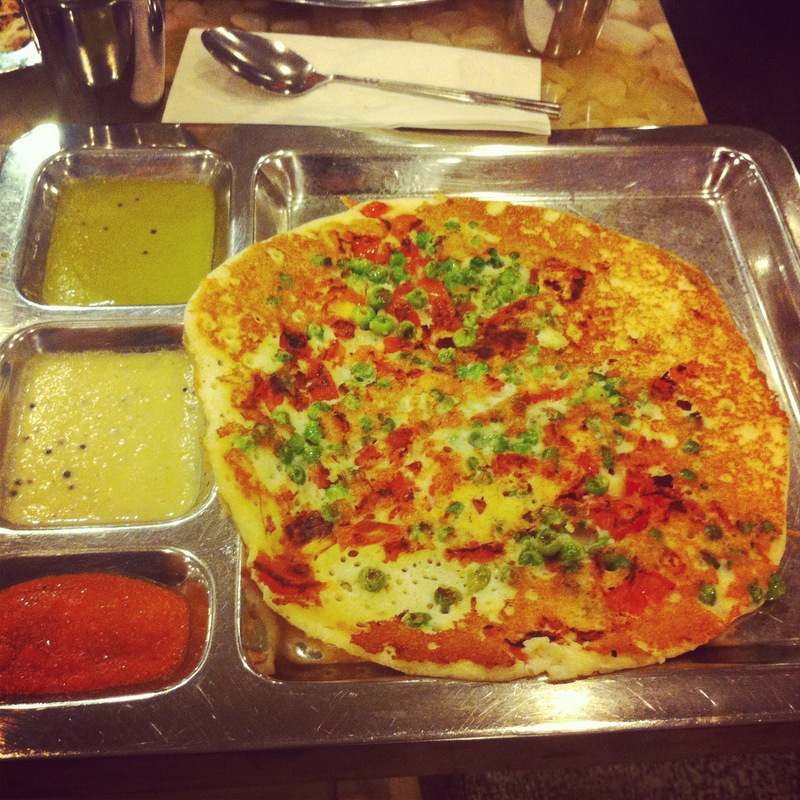 What are your favorite Indian spots in NYC and beyond? We’d love to check them out!